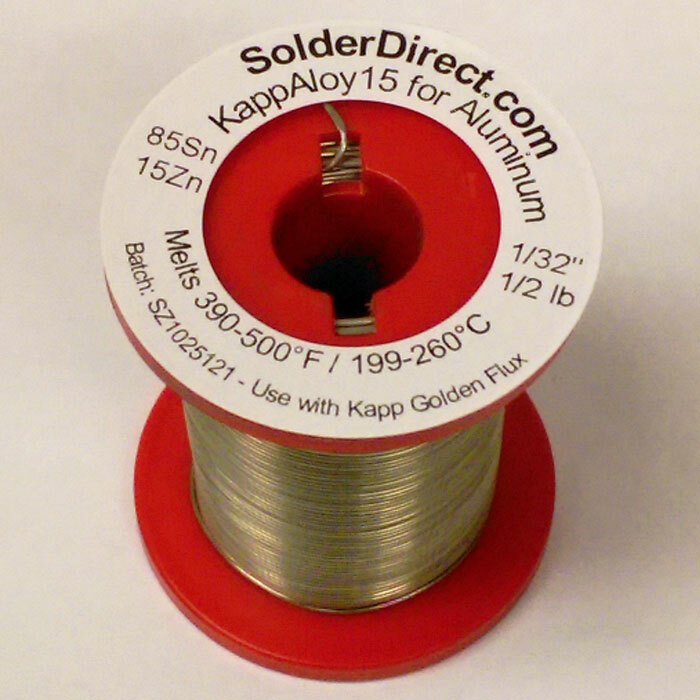 There are three Kapp Alloy solder brands made primarily of Tin and Zinc. 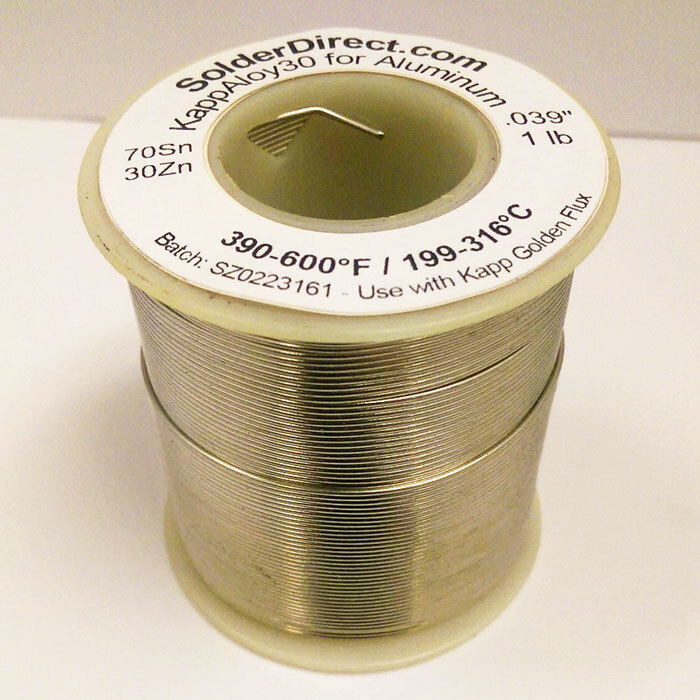 KappAloy™ Tin-Zinc solders for low temperature Aluminum to Aluminum and Aluminum to Copper soldering with good corrosion resistance & tensile strength. 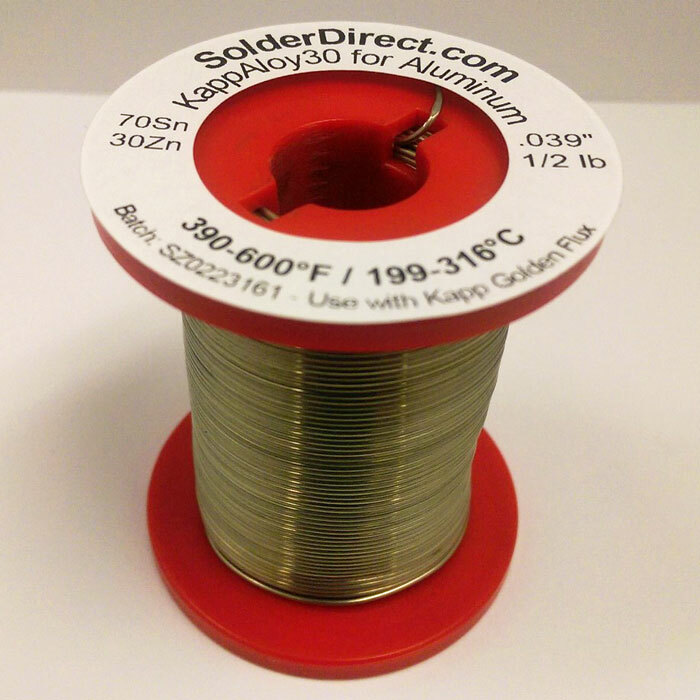 Melting range begins at 390°F (199°C), avoiding heat damage to critical electronics, substrate deformation & segregation. 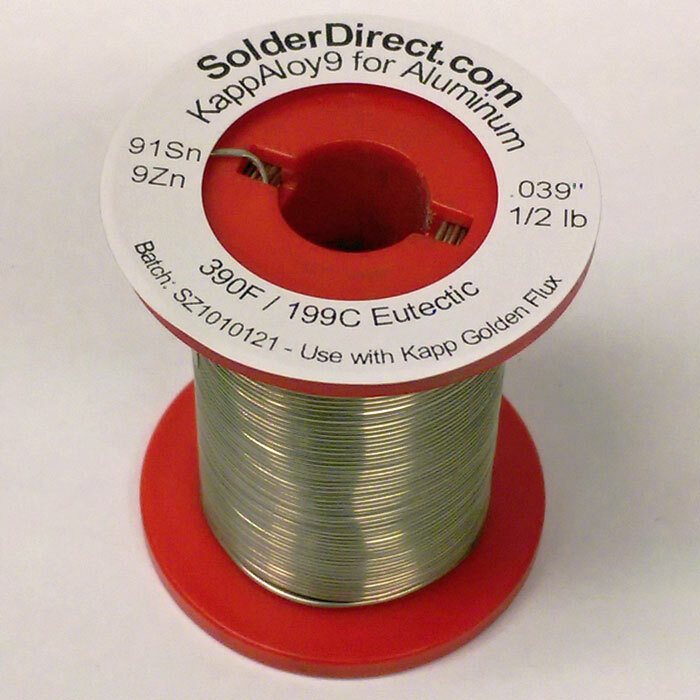 Also used extensively for spray wire on capacitors and other electronic components. 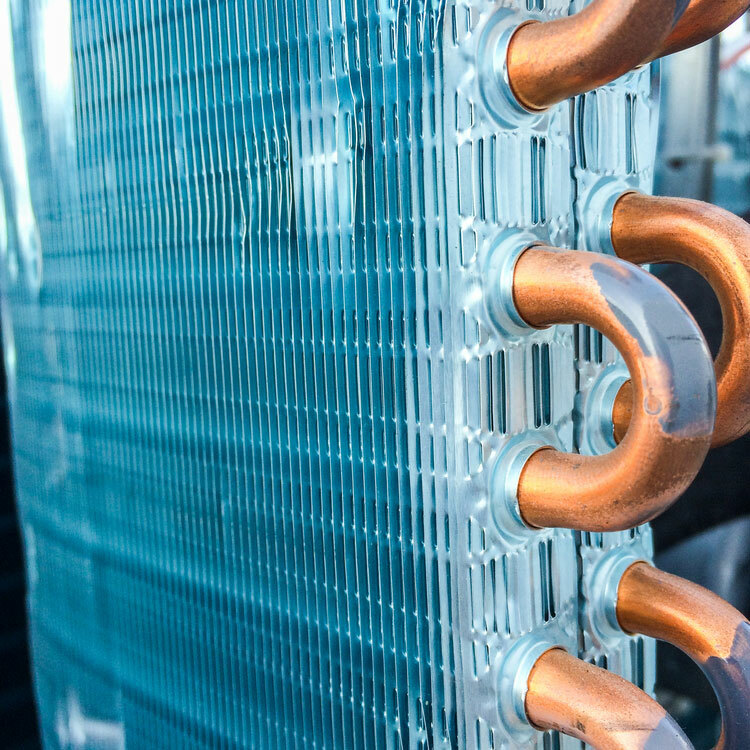 KappRad™ Tin-Zinc-Cadmium solder has been developed specifically to join and repair Aluminum and Aluminum/Copper radiators and heat exchangers. A lower melting point makes delicate repair work easier. 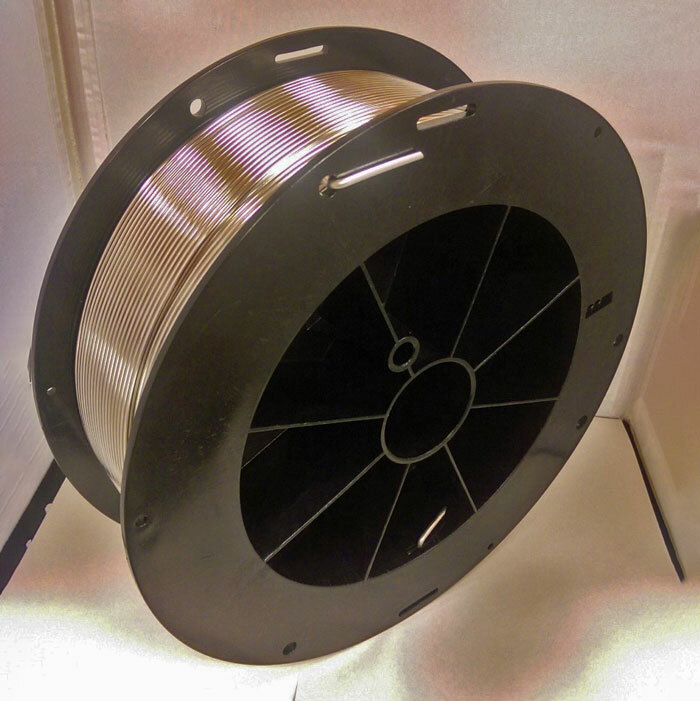 Galvanite™ Tin-Zinc-Copper solder is a Lead-free Cadmium-Free formulation designed specifically for high quality repairs to Galvanized Steel surfaces. 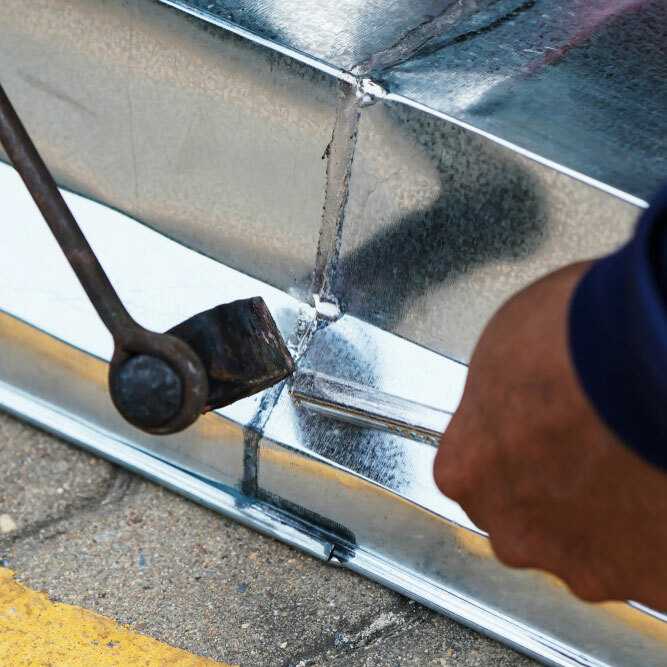 Like the original Galvanizing, Galvanite™ metallurgically bonds to the Steel, for a seamless protective barrier. Galvanite™ exceeds performance standards as specified by ASTM standard A780 for repair of Galvanized coatings.